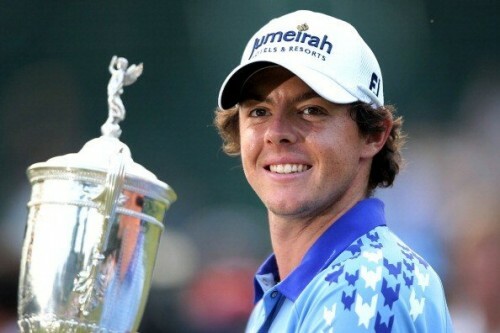 Rory McIlroy, US Open champion: does he get your vote as Sportsman of the Year? There has never been a more important year to cast your vote in the SJA’s annual poll to find the Sportsman, Sportswoman and Sports Team of the Year. That’s because the field is wide open in the two individual categories. How, for instance, do you separate the golfing success of Rory McIlroy, coming back from bitter disappointment at the Masters and winning the US Open, or Darren Clarke, an Open winner at the 20th attempt? Or compare those successes to the cricketing achievement of Alastair Cook, who scored 766 runs as England retained the Ashes in Australia? Then there’s Mo Farah, battling his way round the world championship track in Daegu twice within a week to win gold at 5,000 and silver at 10,000 metres. If those four don’t impress you, what about Mark Cavendish, the fastest man on a bike, who recently added the world road race title to his Tour de France King of Sprints jersey? Or Alistair Brownlee, regaining his world triathlon crown? Somehow, come our gala awards lunch in London on December 7, the SJA members have to make a choice. 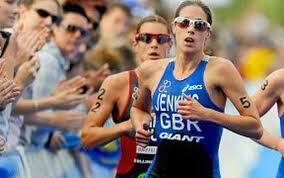 Helen Jenkins, 2011 triathlon world champion: will she get your vote for Sportswoman of the Year? The women’s section is just as difficult to call. Rebecca Adlington, our Sportswoman of the Year in 2008, looked back to her Beijing best in taking the 800m freestyle title at this year’s world championships, while Beth Tweddle made it six years in a row on the prompt list, retaining her European gymnastics crown on the uneven bars, and Helen Jenkins won the triathlon world title for the first time. An outsider may win Sportswoman this year. It could be Hayley Turner, the first woman to win a Group One horse race, or Sarah Stevenson, who at world championships staged at the home of the sport, in Korea, won a taekwondo gold medal. Jessica Ennis, our reigning champion, had to make do with a silver medal in the heptathlon at the world championships. A silver for Hannah England in the 1,500m was greeted with greater enthusiasm because it was less expected. Voting is open to SJA members only, and can be done either online, or via post. Ballot forms should be arriving with members in the next day or so. Voting online takes but a couple of minutes: click here for the online voting form. Of course, each member may only vote once, but we do encourage all SJA members to exercise their vote. Voting is open until November 11, so some might want to wait for the outcome of the Rugby World Cup, where at least until this weekend, Wales, Scotland and England – our Team winners in 2003 and 2007 – are all still in the competition. Grainger and Watkins, world champions: will they get your vote for Team of the Year? But Britain’s rowers, cyclists, cricketers and golfers have already chalked up their claims to follow Europe’s Ryder Cup as our team champions. Kath Grainger and Anna Watkins, in the women’s double scull, were one of three British rowing crews to win world titles in 2011. Wendy Houvenaghel, Dani King and Laura Trott took the team pursuit title at the cycling world championships. In golf, the GB and Ireland amateurs won the Walker Cup, while Europe’s women regained the Solheim Cup for the first time since 2003. And then, of course, there was the little matter of the England men’s cricket team winning the Ashes in Australia, and after a home Test series win over India, becoming the world’s No1 ranked team. It’s a tough choice, but we urge all SJA members to make sure that they use their vote. Tickets for the British Sports Award, at the Grand Connaught Rooms in central London, are just £60 (plus VAT) for SJA members, who may also buy a guest tickets at the same rate and are encouraged to bring along their partner to share the experience of one of the glitziest sports award events of the year. The booking form can be accessed by clicking here. To help you cast your votes your committee has collated a prompt list during the year, which details some of the finest achievements of British sportsmen and women. This is only a guide. You may vote for any British sportsperson or team whose name does not appear on the list, so long as they are eligible according to our constitution (if in doubt please contact us at website@sportsjournalists.co.uk). Alistair Brownlee, at 23, winner of the triathlon world title for a second time. Mark Cavendish, world road race champion; first British rider to win the Tour de France green jersey for King of Sprints. His Champs Elysees stage win was the 20th of his career. Ashes-winning England cricket captain Andrew Strauss:will he get your vote as Sportsman of the Year, or for the Team of the Year? Alastair Cook, man-of-the-series in England’s victorious Ashes-winning tour Down Under, scoring 766 runs – second highest in history for that series. Scored 294 against India as England rose to world No1. Luke Donald, world matchplay golf champion in America, winner of the BMW Championship at Wentworth; world No1. Dai Greene, added 400m hurdles world title to the European and Commonwealth titles he won in 2010. Mo Farah, world championship gold medallist at 5,000m, silver at 10,000m; retained European indoor 3,000m title; knocked 6sec of European 10,000m record. Carl Froch, WBC super-middleweight champion, fighting in the Super Six final. Amir Khan, unified the world light-welterweight titles with victory over Zab Judah in Las Vegas. Andy Murray, world tennis No.4; reached semi-final of all four Grand Slams. 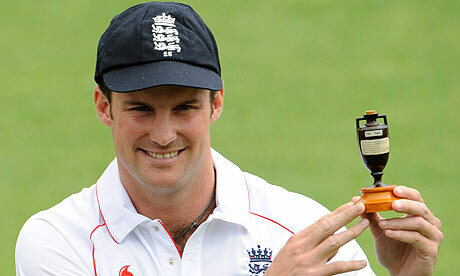 Andrew Strauss, only the third man to captain England in home-and-away Ashes victories against Australia. Led his team in this summer’s 4-0 whitewash of India which saw England become No1 in the world. Liam Tancock, 50m backstroke world champion and world record-holder. Sam Waley-Cohen, the first amateur jockey for 30 years to win the Cheltenham Gold Cup, riding the Nicky Henderson-trained Long Run. Rebecca Adlington, added the world championship 800 metres freestyle gold medal to her Olympic and Commonwealth titles. Hannah England, world championships 1,500m silver medallist. 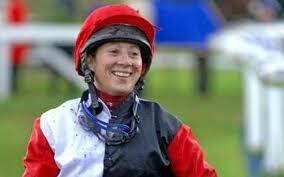 Hayley Turner, ground-breaking woman jockey: will she win your vote for Sportswoman of the Year? Jessica Ennis, heptathlon silver medal at the world championships. Keri-Anne Payne, world champion in the 10km open water swim. Shelley Rudman, European champion in the skeleton bob. Hayley Turner, first woman to win a Group One horse race, riding Dream Ahead to victory in the July Cup at Newmarket. Sarah Stevenson, gold medal at the world taekwondo championships. Beth Tweddle, European gymnastics champion on the uneven bars for a third successive time. Peter Chambers and Kieren Emery, lightweight pairs rowing world champions. Tom Daley and Pete Waterfield, winners in the 10m platform synchronised dive at the World Series in Sheffield – the only gold not won by China. England men’s cricket team won the Ashes series 3-1 in Australia, winning three Tests by an innings. First time in 24 years England had retained the urn Down Under. Became world No1 in Test rankings with a 4-0 series win over India. Europe Solheim Cup team, captained by Alison Nicholas, regained the trophy for first time since 2003. 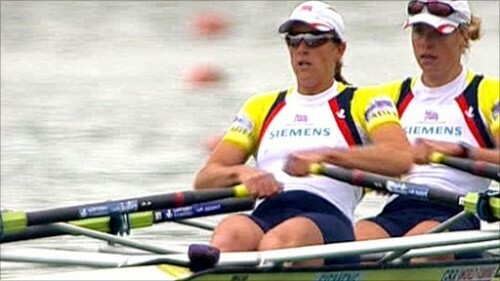 Kath Grainger and Anna Watkins, double scull gold medallists at the world rowing championships. GB and Ireland Walker Cup team, lifted the trophy for the first time since 2003. Wendy Houvenaghel, Dani King, Laura Trott, cycling team pursuit world champions. Matt Langridge, Ric Egington, Alex Gregory, Tom James, men’s rowing four world champions. Remember, all these lists are your guidance only. Over the coming weeks, various sportswriters will be making the case for their choice of Sportsman, Sportswoman or Team of the Year. SJA members can cast their votes by clicking here. The awards will be presented at our gala annual lunch in London on December 7. Don’t miss out on being there – click here for a ticket booking form, with SJA members entitled to buy two tickets at half the usual price.